A darshan, or preacher, of Lemberg in the first half of the seventeenth century. He was the author of several homiletical works, of which the following have been published: "Ben Da'at" (The Son of Knowledge), Hanau, 1616, containing one hundred and fifty homiletic discourses on the Psalms; "Derush 'al 'Aseret ha-Dibberot," an Interpretation of the Decalogue, Hanau, 1616, containing homilies on the Ten Commandments; and "'Abodat ha-Levi" (The Office of the Levite), Cracow, between 1632 and 1648, containing sermons and homiletic interpretations on Genesis. The last is merely a fragment of a work which treated the whole Pentateuch in the same manner: it has not been published. 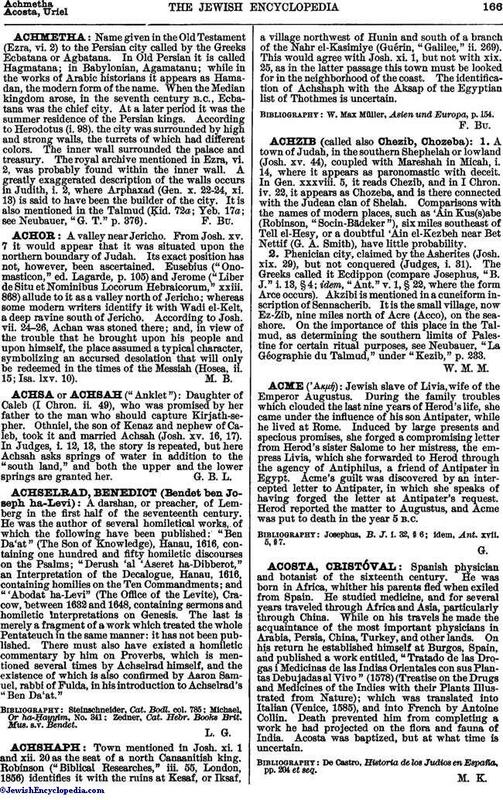 There must also have existed a homiletic commentary by him on Proverbs, which is mentioned several times by Achselrad himself, and the existence of which is also confirmed by Aaron Samuel, rabbi of Fulda, in his introduction to Achselrad's "Ben Da'at." Zedner, Cat. Hebr. Books Brit. Mus. s.v. Bendet.